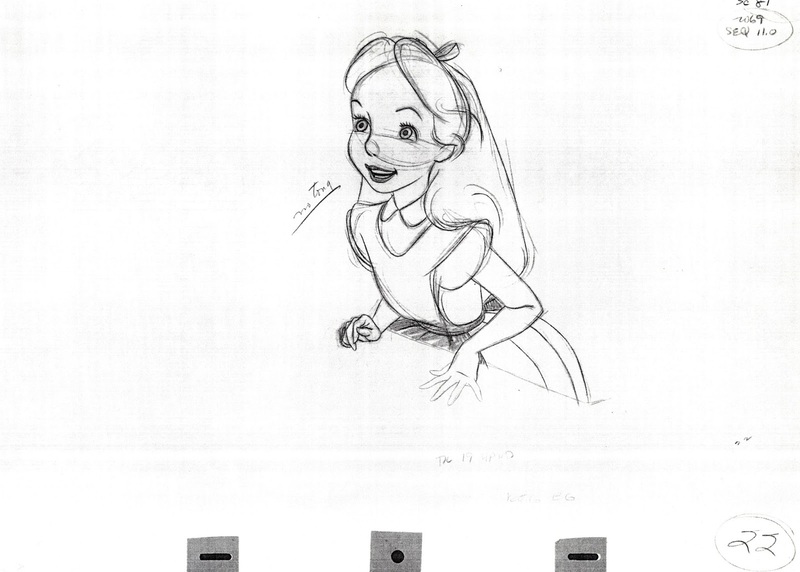 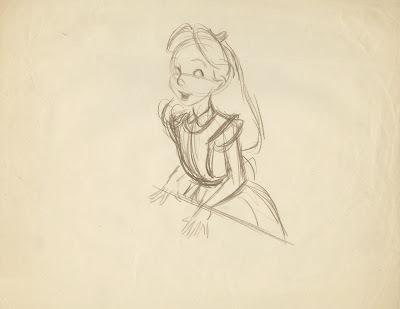 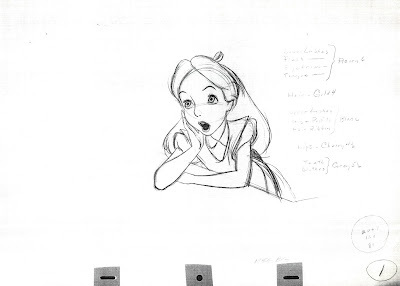 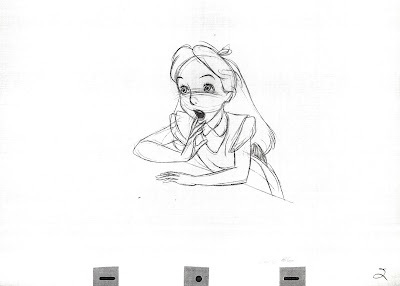 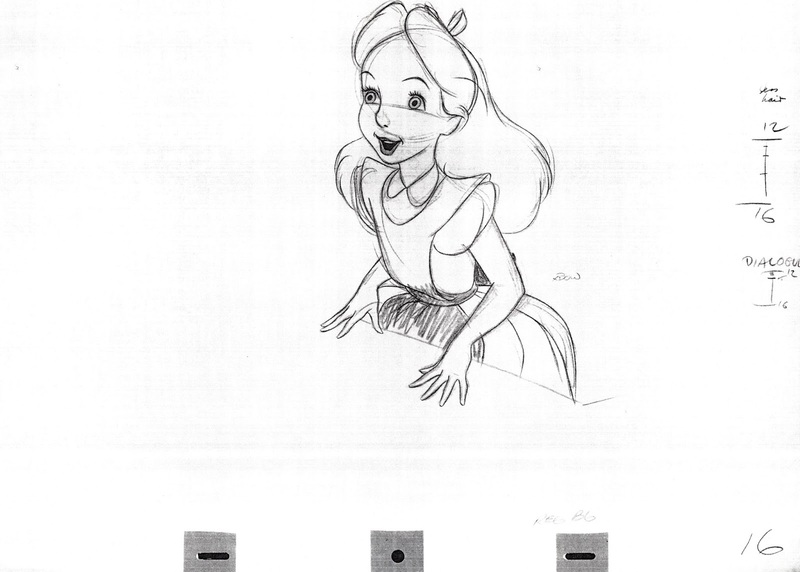 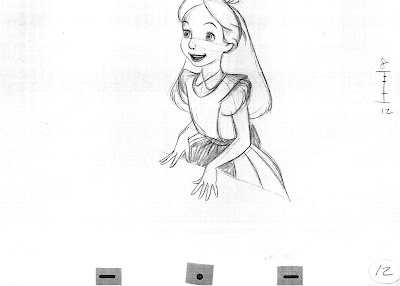 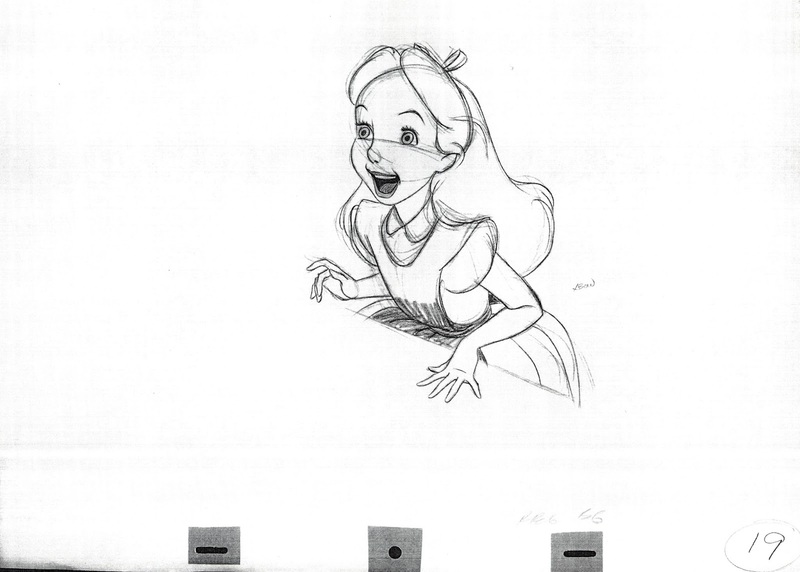 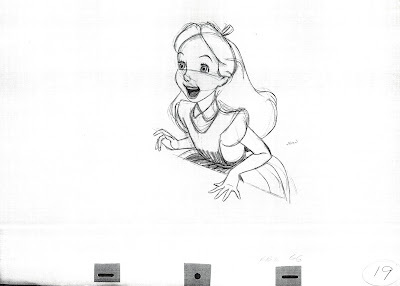 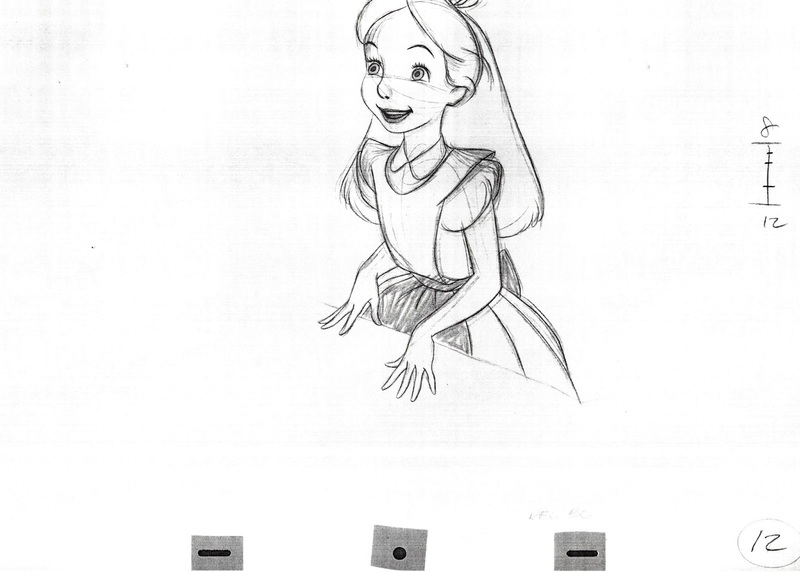 Milt Kahl animated all scenes with Alice as she is hopelessly defending herself against the Queen of Hearts at the trial. 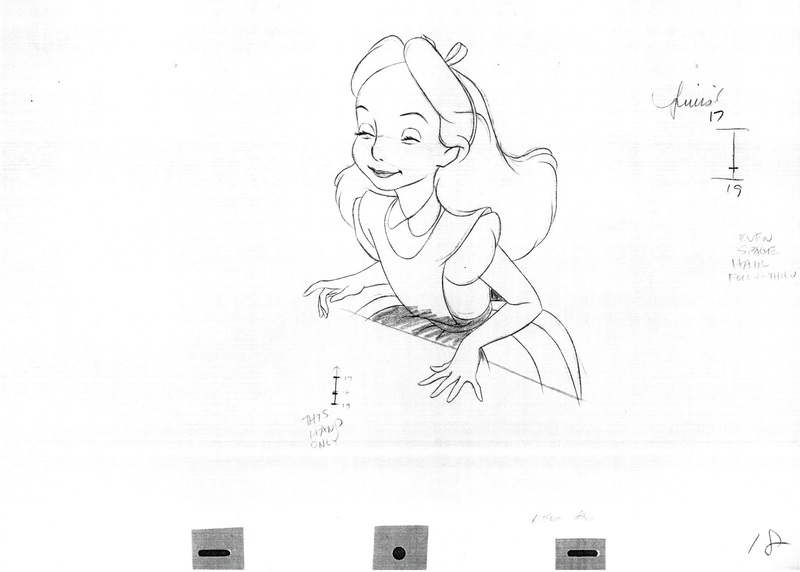 Look at this beautiful, unused rough drawing that somebody must have gotten from Milt's trash bin. 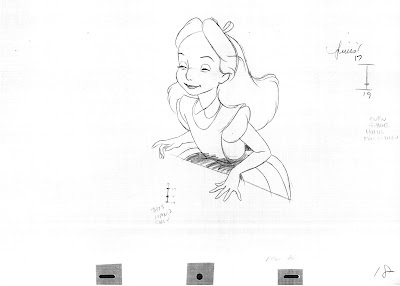 Parts of the line work is so delicate, such as her face and hands. But when something needs to be worked out like Alice's dress, Milt goes at it forcefully. Below are copies of the cleaned up key drawings. 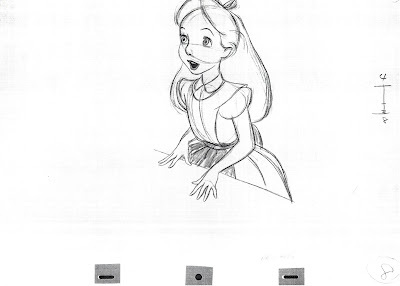 In the scene Alice reacts to the sudden appearance of the Cheshire Cat on the Queen's head.